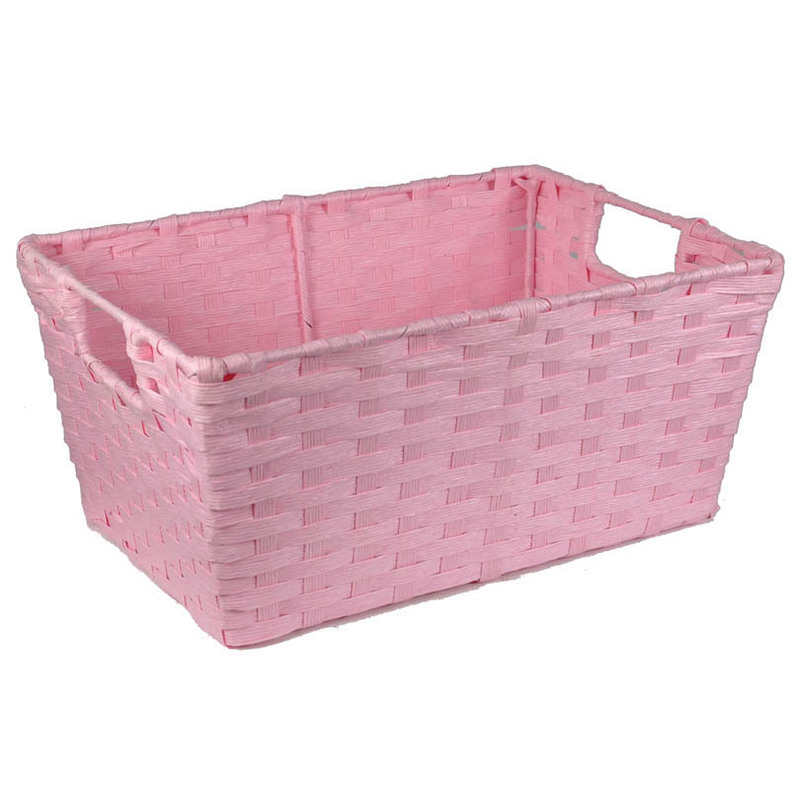 Rectangular Paper Fiber Storage Baskets In-Handle - Medium The Lucky Clover Trading Co. These baskets were exactly what I needed and was hoping for. They are perfect for shelf storage, are sturdy, and are much cheaper than similar baskets I have previously ordered from another company! I will definitely use this site as needed in the future. Good basket for closet storage. I was impressed with the website, the ease of ordering, and how quickly I received my order. The baskets were exactly what I wanted and do, indeed, handle a lot of weight, which is exactly what I need. Very attractive and decorative as well. Perfect for for the function I needed. Basket quality is great, however, the basket is soft more like a purse so you have to consider that when planning for its use.